A Toku Themed Bar? Masaru Shishido Opened One! Jin Makoto played the trumpet. Both Daigorou Oume and Tatsuya Midorakawa play the guitar. Hikaru Katsuragi plays the flute. I can NEVER forget her playing the Bioman tune on her flute. Momoko did play the flute for one episode only so I might delete her from this list. Bioman episode 12- Okay Mason was being despicable in that episode but the fact that Green Two thought he killed a boy's father (who was really a mechaclone), he forgot the one fact that HUMANS just don't explode like that! Hmmm... it could have been remedied if Mason's mechaclone didn't explode. Just my pick but some will disagree with me on this! The annoying Five puppets in Fiveman. I thought they were cool as a kid but they got quickly boring. Glad they ended when Chevalier got appointed as captain. Or perhaps the last minute shift of antagonist by turning Meadow into just an illusion and revealing Vulgyre was what I'd call "too rushed". Or for Goseiger... I could really put the part of being corny with its having a mecha overload just to sell toys. Update as of Apirl 22, 2012: Thanks to some comments, I've changed the post's title... :) thanks to the corrections pointed out by Sogambut Boys Projk and Fantasy Leader. So here's a pretty good list of Super Sentai series I think have been overrated by SOME superficial fans... sad but true but this does happen... and I'm caught RED HANDED! LOL! LMAO! Okay now for the series some people I know (including myself) have watched and enjoyed for the wrong reasons!!!! 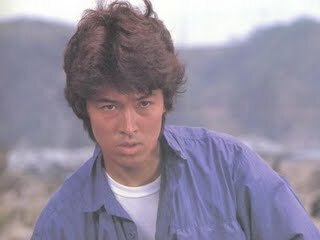 Chodenshi Bioman- I guess no child in the 80s-90s can forget their crush on Hikaru/Kimberly. But this has turned into a bygone or has it? Chojuu Sentai Liveman- Megumi is STILL freaking hot. Kosuku Sentai Turboranger- Haruna Morikawa was probably another of those hot chicks in the 80s even if she's not really that hot. Red Lion 1, Green Dragon 2, Blue Eagle 3, Yellow Tiger 4, Pink Panther 5... which later Gingaman had Gingared with a lion theme, Burai was Dragonranger a green ranger and Boi was Tigerranger a yellow ranger.A team of children came before Kou came into creation. Cho Ninja Tai Inazuma- This Sentai alumni filled series may be more of a Tokusatsu for some though I prefer to label it as a J-Drama... but it does have Toku elements in it. I don't know what my other fellow Sentai reviewers have to say about this. I hope people can post their opinion on this. Akibaranger- The title speaks of itself as an "unofficial Sentai" and yes it is. Written by Naruhisa Arakawa, I expect this to be funnier than my own brand of somewhat sadistic humor. Why it's an "adult Sentai" I'll need to watch and examine first! Well now it's time for a major edit in this entry. Before I wrote this entry with a thought, "Hey I'll just pretend to know everything..." in a foolish quest for glory and at first, bashing Power Rangers. Now it's time to revise this entry, hopefully to make more sense. After Hirohisa Soda's entirely huge contribution all the way from Goggle V up to Fiveman, Jetman was the next series and you had Toshiki Inoue as the head writer. It's said that before he became infamous, he was once known for his better works such as Changerion (which I need to watch), Jetman and his magnum opus Kamen Rider Agito making him Toku's version of Frank Miller. 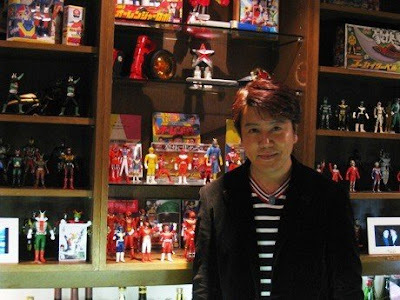 So really, Jetman got so popular during its airing with him also trying newer stuff or recycling some stuff he introduced during his time with Flashman up to Turboranger, notably X-1 Mask was his writing. Sentai's Most Insanely Awesome Moments! Yuuma's bad singing manages to save the day from Zonos. Though I got a good laugh but it was also awesome.